AccessoryGeeks.com | Kikkerland Cafe Latte Ground Bag Clip Stainless Steel Coffee Scooper Spoon | Free Shipping! Do you love coffee? Are you the type of person who spends every morning brewing coffee for your caffeine needs? Do you love coffee? Are you the type of person who spends every morning brewing coffee for your caffeine needs? Well, AccessoryGeeks.com has the right coffee accessory for you coffee lovers! The Kikkerland Coffee Grind Scooper & Clip scoops coffee grind and also works as a clip as well, keeping you grinds fresh for the next day! Great gift for coffee brewers / lovers. Are you a coffee person who spends their early mornings making coffee Well, we have the right accessory just for you! 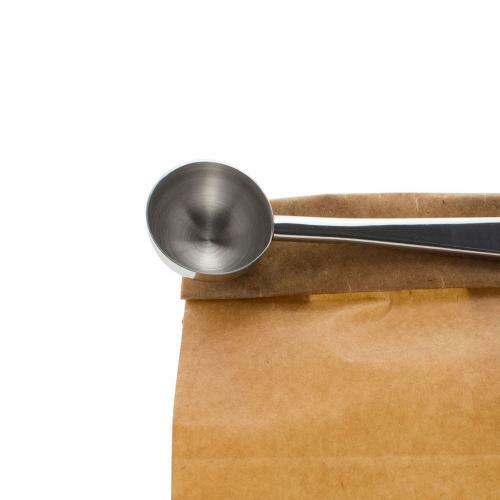 The Kikkerland Caf Clip Stainless Steel Coffee Scooper & Clip works as a coffee scooper and once you are done scooping, it can also work as a clip to close your bag. 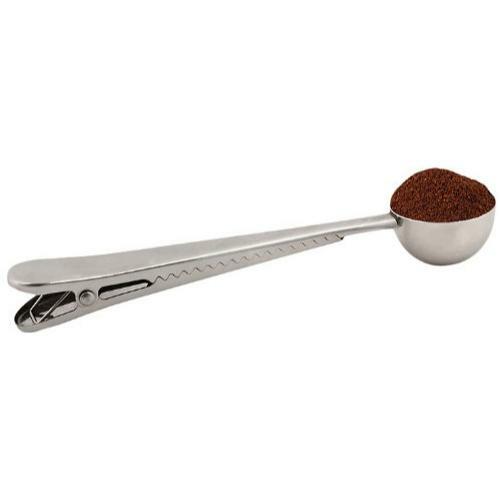 The stainless steel coffee scooper scoops one teaspoon. 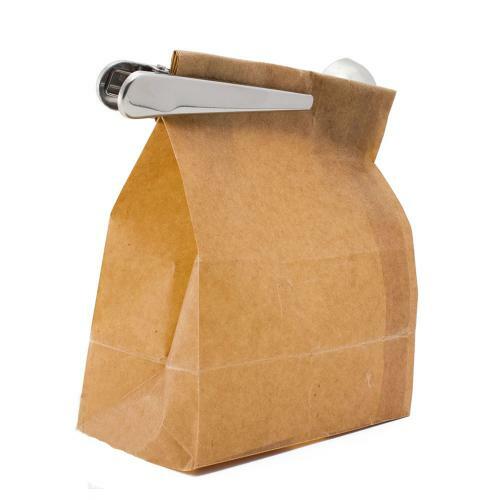 Get this convenient coffee accessory from AccessoryGeeks.com today! Works great as a clip and a scoop. It's made of good quality stainless. I love that it holds the coffee bag closed tightly and is right at hand when I need it! Great little scoop clip. 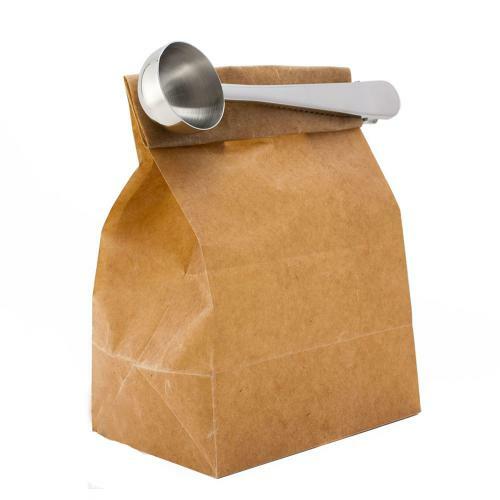 Perfect for coffee or anything needing a scoop and easily clips to the bag. I wouldn't say it's changed my whole life, but it certainly has made the morning easier! Thanks, Geeks! This thing is incredible! A clip and scoop all in one! It makes a great present for coffee lovers like me! I use one scoop and it gives the perfect amount of grounds to fill the cups with. Perfect! Simply brilliant! 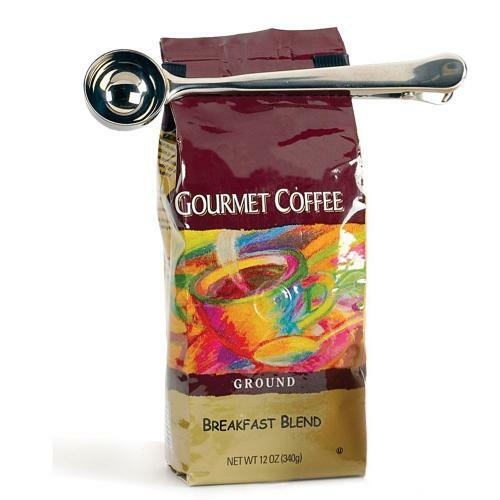 It does exactly as it should it acts as a coffee scoop and as a clip to keep the coffee fresh! Well made, good quality and attractive. All for a great price! I might buy these again as Christmas gift for the coffee loves in my life. It looks and works great with small stainless steel. The clip is really strong and a perfect length to close off bagged coffee.Love it!